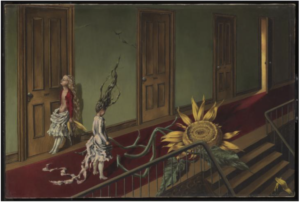 Dorothea Tanning, painter, sculptor, poet was a leading light of women in the surrealist movement. We will be gathering at the Tate Modern to join curator and scholar Alyce Mahon for an in-depth tour of this seminal exhibition. It brings together 100 works from her seven-decade career. Contributions: Patrons free, Friends £15, Visitors £25.